Published: June 14, 2016 at 10:59 a.m. 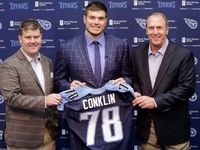 Updated: June 14, 2016 at 11:28 a.m.
HOUSTON -- There have been enough significant changes within the Houston Texans that it's time for a crucial reality check. Yes, they have a new look in the offensive backfield with quarterback Brock Osweiler and running back Lamar Miller arriving through free agency. The draft also produced a couple speedy receivers with exciting potential. But the Texans still will be driven by the force and ferocity of their defense. Of that, there should be no question. This is an important point to remember as the excitement builds around the possibilities for the Texans. 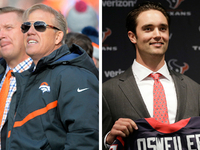 They made improving their offense a major focus and Osweiler's decision to leave the reigning Super Bowl champion Denver Broncos dropped plenty of jaws around the league. General manager Rick Smith and head coach Bill O'Brien wanted an offense that could be more dynamic. What they also needed was more help for a defense that should make this team a serious contender. All-Pro defensive end J.J. Watt reinforced that notion that expectations should be as high as ever around the franchise. When asked about the new faces on offense -- which includes rookie wideouts Will Fuller and Braxton Miller -- he said, "It's my job to focus on defense. What they did on offense is they went out and got a lot of pieces to help [the team] be successful. That's the team showing that they feel like they've put together something we can be successful with. So we basically have no excuses now. They went and got players to help us. Now it's up to us as players." There actually isn't that much that separates the Texans from the Broncos. Denver boasted the best defense in football last year, but Houston ranked third in the league in total defense (310.2 yards per game) and seventh in scoring D (19.6 points per game). The Texans also have Osweiler -- who helped the Broncos win five games when Peyton Manning was hurt -- and a running game that looks more dangerous than what Denver will field. If the Broncos could ride their tenacious defense to a championship, there's no reason why Houston shouldn't feel capable of doing the same. The key thing to understand is the Texans need efficiency on offense more than they need explosiveness. This is the same team that started 2-5 last year, looked completely inept in a midseason blowout loss at Miami and somehow managed to win the AFC South with a 9-7 record. 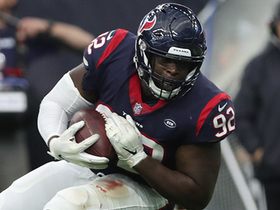 Houston did that because its defense dug in, with Watt creating enough disruption (17.5 sacks, three forced fumbles) that he claimed his second consecutive (and third in the past four years) NFL Defensive Player of the Year award. 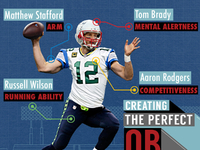 The Texans also accomplished all that while starting four different quarterbacks over the course of the season. Osweiler's arrival has raised expectations for an offense that shouldn't be a liability this fall. However, history tells us that it does take time for players to become comfortable in new surroundings. As O'Brien said during offseason training sessions last week, "It's a matter of how fast these guys [on offense] can continue to jell in training camp, with full pads on, in preparation for the first game. That's going to be the key. There are a lot of new guys. They've done pretty well for what we can get done in this period, but the big test will come in training camp." Added Watt: "Last year, we started off playing awful at the beginning. Even though we picked it up later in the season, specifically on defense, that's what we want to avoid. We want to stay out ahead of that and do a good job of starting out fast, especially with a new quarterback and new players on offense. It may take them a little bit to get going, so as a defense, we want to put that on our shoulders." That basically means that Houston has to be ready to ask as much of its defense as it did during the second half of 2015. That is especially true when considering the obstacles that will await the Texans within the AFC South. 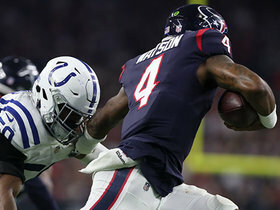 No division in football boasts as many talented, young quarterbacks as this one does, with Indianapolis' Andrew Luck returning from an injury-plagued season and Jacksonville's Blake Bortles coming off a second-year campaign that ended with him throwing for 4,428 yards and 35 touchdowns. If Tennessee's Marcus Mariota improves on his promising rookie campaign, the Texans will have their work cut out for them. On the other hand, Houston remains a team that still hasn't shown all it can be during the O'Brien era. 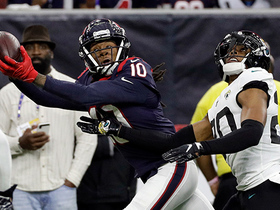 Imagine what happens if outside linebacker Jadeveon Clowney delivers on the lofty expectations that hovered around him when he was the first overall pick in the 2014 draft. 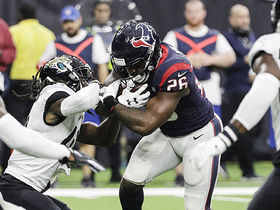 The Texans already saw fellow outside linebacker Whitney Mercilus produce a breakout season last year (with 12 sacks), and inside linebacker Brian Cushing is still a force when healthy. If Watt isn't hindered by an offseason groin surgery -- and the secondary remains solid -- there's no reason why this unit shouldn't dominate again. Watt already is making it clear that it's not enough for this team to just get into the playoffs. It has to be ready to make some serious noise. "I don't really think we've done what we've wanted to do in a while," Watt said. 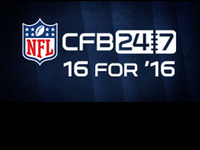 "Obviously, we've gone through everything -- different quarterbacks, all kinds of adversity. You don't want to be a 9-7 organization. We want to have high expectations. We want to be great. But you have to go out there and do it." The Texans have learned that lesson in each of O'Brien's first two years, both of which -- as Watt noted -- ended with 9-7 records. They weren't good enough to make the postseason in 2014 and they were too error-prone to deal with the Kansas City Chiefs in a 30-0 loss in last season's wild-card round. Former Texans quarterback Brian Hoyer threw four interceptions, lost a fumble and completed just 15 of his 34 passes in that defeat, which led to Osweiler's arrival. The feeling at the time was that all Houston needed was a better offense to improve the organization's chances of competing for a championship. The Texans now have made those moves and there is ample excitement around the area. What they shouldn't do, however, is forget their identity as they chart their course for success this coming fall. As much as this franchise should benefit from an assortment of new skill players on offense, there's still that old adage in football, something about defense winning championships. It worked well for Denver last season -- and the Texans would be wise to remember it this coming fall.